For a brief while in October 2017, Bezos’ net worth rose to a whopping $90 billion, pushing him past Bill Gates on the leaderboard of the world’s wealthiest people. And it was all thanks to Amazon. The tech giant posted its third quarter results for 2017 on October 27 last year, when it recorded revenues of $43.7 billion, up by a massive 34 percent from last year; that caused the company’s share price to top $1,050, and make Bezos the world’s richest man for the second time in the year (he earned the top rank in July 2017 too, but lost it after a single day). 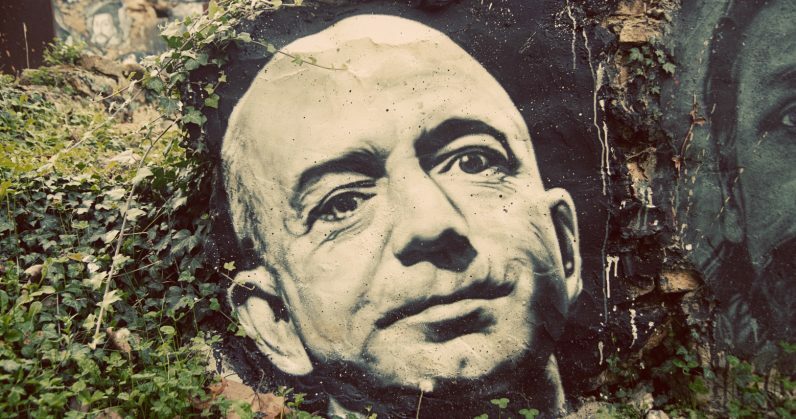 Fast forward to the present day (January 10, 2018), and Bezos is now worth $105 billion, earning him the top spot on the billionaire list once more, and making him the richest person in modern history. His fortune rose $32.6 billion in 2017 and made him the first person to hit the 12-figure mark since Bill Gates did back in 1999. His rise to the top is a testament to Amazon’s incredible performance as a company this year, and to its ongoing practice of innovation and rapid growth in the past few years. Let’s take a closer look. In the close to two decades since that interview was taped, Amazon has grown to sell just about anything you can think of – video games, household essentials, furniture, and even prefabricated homes. And it does so in some 15 countries around the world, including the US, UK, India, Brazil, China, Germany, and most recently, Australia. It also operates streaming video and music services in many of these countries, often bundling it with its Amazon Prime subscription plan that guarantees faster and cheaper shipping for shoppers. In a bid to grow its retail empire, it acquired US-based grocery chain Whole Foods in August for $13.7 billion. The move contributed to Amazon’s excellent third quarter this year, with Whole Foods accounting for $1.3 billion in sales. And when you consider the fact that Amazon’s stock went up by roughly $13.4 billion when it clinched the deal, Whole Foods was practically a freebie. Amazon not only boosted retail earnings across North America – sales in the region rose to $25.4 billion, up 35 percent from last year – but also internationally: global sales grew 29 percent to $13.7 billion. For a better idea of how it’s making that happen, let’s take a look at one of Amazon’s biggest markets outside the US: India. After launching there in 2013 with a limited catalog, it’s since opened up its marketplace to numerous third-party merchants, and injected $2 billion into its local operations. In 2016, it tacked on another investment of $5 billion, and nearly matched that this September with a further addition of $4.74 billion to battle incumbent rival Flipkart in the war to become the #1 retailer for everything from home appliances to smartphones. The fight isn’t easy: even with 160 million products in its 13 million cubic feet of warehouse space, it’s still trailing behind Flipkart in market share (50 percent, as compared to Amazon’s 35 percent) in the country. Bloomberg noted that Amazon’s international losses grew over fivefold from a year ago to $724 million in the quarter ending in June 2017. But Amazon’s always been about the long game. Even when it was just getting started, the plan wasn’t to turn a profit for the first few years; when it finally did in 2001, the margins were awfully slim, at a meager $5 million on revenues of over $1 billion. Unsurprisingly, one of Amazon’s biggest earners in 2017 was its Web Services division, which offers cloud-based infrastructure in the form of servers, storage, distributed computing power, database management, and developer tools to a wide range of online businesses. With its bouquet of more than 90 services, AWS generated $4.6 billion in net sales in Q3 2017, up from $3.2 billion last year. With that, it’s on track to rake in $18 billion this year. And while it’s hard to compare it to its rivals because they don’t all offer the same products, Amazon is offering serious competition to the likes of giants like IBM, Microsoft Azure, Oracle, and Google Cloud. To stay in step with its competition, it launched Amazon ML Solutions Lab in November. The program connects machine learning experts (who are presently in short supply worldwide) from across the company with AWS customers to help figure out how their businesses can benefit from machine learning, and to guide them in building new machine learning-enabled products and processes. In addition, it’s ramped up efforts to court China and Europe with the opening of two new AWS regions that can serve and crunch data locally: one in Paris, France, and another in the Chinese city of Ningxia. While the company already services numerous regions across Europe, its foray into China signals Amazon’s intent to grab a larger piece of the cloud pie, of which 80 percent is presently accounted for by local providers. Beyond its massive reach, Amazon is widening the gap between itself and its retail competitors with ingenious (and sometimes over-the-top) ways of getting customers to shop more. Since 2014, the company’s been hawking its Echo range of smart speakers, which are powered by its voice-activated assistant, Alexa. The service answers questions about your schedule, current affairs, and the weather, streams music on demand, controls your connected appliances, hails you a cab, and orders household essentials for you – all without a screen in sight. Combine that with the Prime plan that promises faster and cheaper shipping than usual, along with a recently rolled out subscription to let children order stuff, and you have a recipe for an all-encompassing shopping ecosystem for the whole family. Amazon previously launched Dash buttons, which are labeled with household essentials brands, and can order refills with just a press, whether that’s detergent, baby wipes, or Cheez-Its. Earlier this year, the company also unveiled its $20 Dash Wand, which is essentially like a handheld Alexa remote that you can stick to your fridge. And if you want more of Alexa around the house, there are now six different devices to choose from, including three speakers, two screen-equipped gadgets, the Echo Show and the Echo Spot, and a camera; the last one, dubbed the Echo Look, takes pictures of you in your outfits and rates your sense of style, based on current trends and how your clothes suit your body type. Its strategy seems to be working: according to Consumer Intelligence Research Partners, Amazon Echo has outsold Google Home by three times in the US this year (PDF), having clocked 20 million units compared to Google’s 7 million. For its next trick, the company is said to be working on smart glasses that have Alexa built in. Of course, the company isn’t stopping there. To make sure all those orders really count, it’s working on novel ways to get your packages to your doorstep, and even past the threshold, with delivery drones, as well as Amazon Key – a service that lets authorized logistics personnel enter your home to drop off parcels while a Cloud Cam keeps an eye on things. If you’re more of an active shopper and enjoy browsing, Amazon’s got you covered. It’s using the data from all its customers to fill brick-and-mortar stores with titles that are selling well online, and it’s also experimenting with Amazon Go, a revolutionary physical shopping experience that uses computer vision to track the groceries you pick up and place into your basket, and then lets you leave with your purchases without checking out or paying a cashier (everything’s billed to your Amazon account). Essentially, Amazon is working to ensure that you have no reason to shop with any other retailer. You don’t need to scroll through long lists of items, you soon won’t need to carry cash into a grocery store, and you don’t have to be home to receive packages at your condo. No other retailer on earth can top that just yet. It takes a lot of people to keep such a massive machine running. In October, Amazon revealed that it employed 541,900 people worldwide, having added nearly a quarter million employees in just a single year. It’s also worth noting that in 2011, it only had 30,000 full-time employees in the US. No wonder it now needs a second headquarters, and no wonder that it’s received proposals from 238 US cities to build it in. The facility is expected to cost $5 billion, expand across 8 million square feet, and house 50,000 employees. It’s also expanding overseas: earlier this year, the company was reported to be planning the launch of a new space in India for Lab126, its R&D company that conceptualized gadgets like the Kindle ebook reader, Echo smart speaker, Dash buttons, and Fire tablets and streaming devices. Lab126 already has 3,000 employees working in six cities around the world, and will continue to grow and build more products to help Amazon customers shop like the Jetsons. Is a bigger Amazon good for the world? In case it wasn’t already obvious, Amazon is quickly growing into a monopoly, with the power to put many different kinds of companies out of business, from retailers to cloud service providers. With roughly 480 million products on offer, it’s quite a formidable retailer to contend with, even in markets that it’s just starting to venture into. That sort of scale of operations not only gives Amazon the power to decide which brands will sell well and which ones will die out – it operates numerous in-house brands that can replicate popular products, from apparel to kitchen utensils – but also the power to influence governments. Are we better served by a monopoly than a vibrant market with numerous independent establishments? It seems like in many countries, we’re voting with our dollar for the former, and Amazon is using technology, and its focus on building for convenience, to convince us that we’re right to do so. Jeff Bezos certainly isn’t complaining.